The Delta Epsilon Chapter at Cleveland State University was founded as Beta Beta Alpha in 1932, then later chartered the National Fraternity Tau Kappa Epsilon on May 9, 1953. 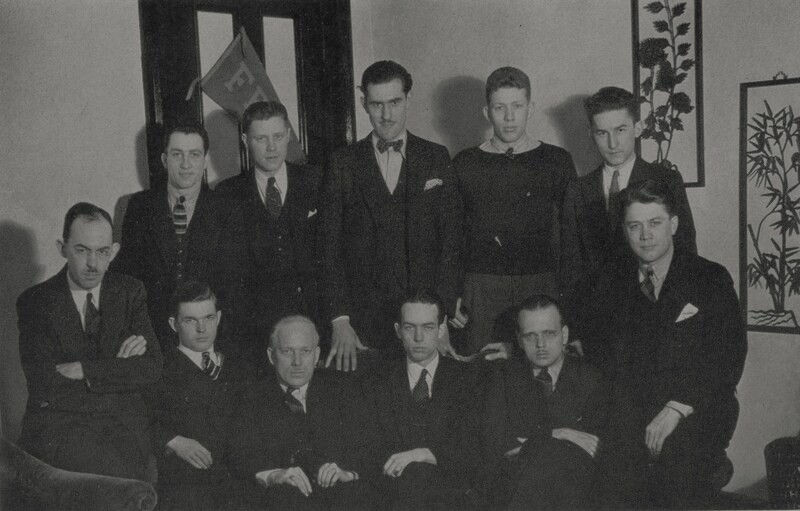 On October 6, 1932, 13 students of the business school of Fenn College of Business met in the Johnson Building of the Downtown Cleveland YMCA to create a social fraternity. Together they chose the name Beta Beta Alpha from their degree designation, Bachelors of Business Administration. These men believed that there was more than a degree to be gained from college. Their purpose was to "promote scholarship; bring about greater friendship among the students; and to sponsor such social functions as it thinks will be of a benefit to the fraternity and to the school. In October 1933, BBA was recognized by the IFC (InterFraternity Council). Early in October 1936, the fraternity opened the social season of the school year with its Harvest Prom. This dance, held at Wade Park Manor and attended by over 125 couples, was unique in that it was the first open dance ever given by a fraternity. Harvest Ball continues today during the Fall semester. In the spring of 1949, Donald W. Peters pledges Beta Beta Alpha Fraternity. As an active member he served as Prytanis, Social Chairman, and Alumni Chairman. After Graduation he served as Chairman of the board and was the backbone of the Delta Epsilon for over four decades. 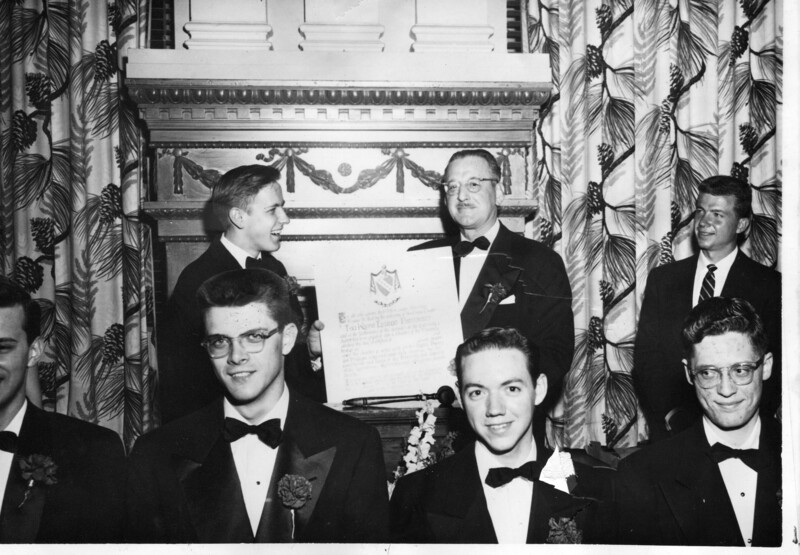 The above photo was taken during the charter of the Delta Epsilon Chapter into Tau Kappa Epsilon on May 10, 1953. The majority chose to become TKE, making them the first Fenn College (CSU) fraternity to go international. For many years the TeKEs try to maintain relations with Beta Beta Alpha and recognize 1932 as their founding year. A few men of BBA chose not to become members of TKE and maintain their own alumni association holding separate annual events.